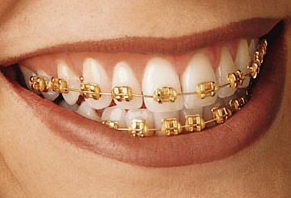 Gold braces are loved by adults and teens. 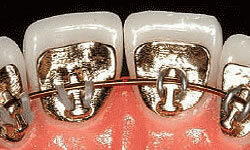 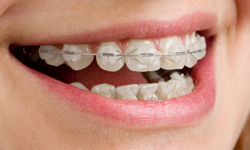 They work the same way the metal braces work to straighten your teeth using "gold" metal brackets and archwires. 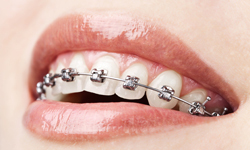 Some patients want to express themselves with this distinctive look while they straighten their teeth. 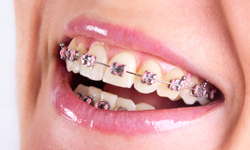 With gold braces you have the option of adding colored elastics (rubber bands) for a more unique and colorful smile.